The Confucius Institute (CI) at Savannah State University (SSU) is celebrating its second anniversary with several free, public events during November. The Confucius Institute will host Paul H. Swenson, president and owner of China Hand Consulting Company, Inc., as the keynote speaker of the annual CI lecture and dinner on Thursday, November 10, 6 p.m. in the King-Frazier student center ballroom. 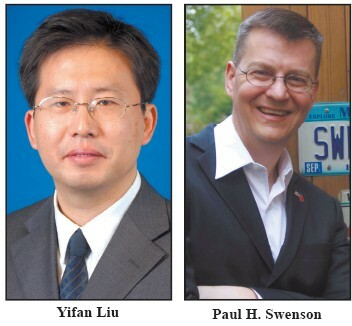 Swenson worked with the U.S. Department of Commerce, attached to the U.S. consulate in Shanghai. He has more than 20 years of experience of trade with China. Also presenting is Don Lien, Ph.D., professor of economics at the University of Texas at San Antonio, and David Bell, Ph.D., assistant professor of political science at SSU. This event is free, however, reservations are required. Please RSVP by November 4. The CI anniversary dinner on Friday, November 11, 7:30 p.m., in the King-Frazier student center ballroom, will honor the life of Lat Woo, moved to Savannah in 1927. Woo started a successful grocery store and co-founded the Chinese Benevolent Association in 1946. His descendants are still in Savannah and will accept an award on behalf of the family patriarch. This event is free, however, reservations are required. Please RSVP by November 4. The Beijing Opera will return to Savannah on Saturday, November 12, 7:30 p.m., at Armstrong University. Linghui Tu, professor of Chinese opera at the National Academy of Chinese Theatre Arts, leads the opera company. The company will perform selections from Water Margin, Journey to the West, Famen Temple and other operas. Nie Xi, an accomplished Beijing Opera performer, will join them. This event is free and open to the public. Acupuncture practitioner Yifan Liu, M.D. (China), will give a lecture on Chinese herbs and remedies on Thursday, November 17, 6:30 p.m., in the King Frazier student center ballroom. Liu is on the CI committee. Dinner will be served. This event is free, however, reservations are required. Please RSVP by November 4. Please RSVP to 912-358- 3160 or bloodp@savannahstate.edu.